Vancouver is awash in freeze-framed explosions of bubble-gum-pink-awesomeness. Magnolias, cherry and plum blossoms are on practically every block in the city. 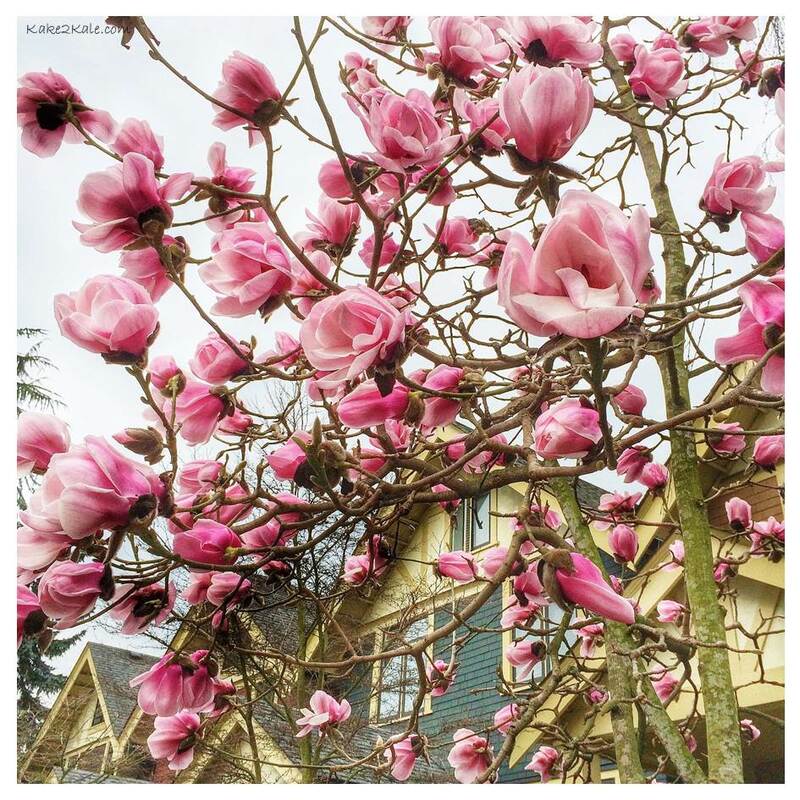 Their dazzling, blushing petals clear my mind of the gloomy grey days that plague our city over the winter months. Getting eyefuls of blossoms evoke in me a sweetness tinged with sadness, knowing this eye candy is fleeting and will soon flutter away. 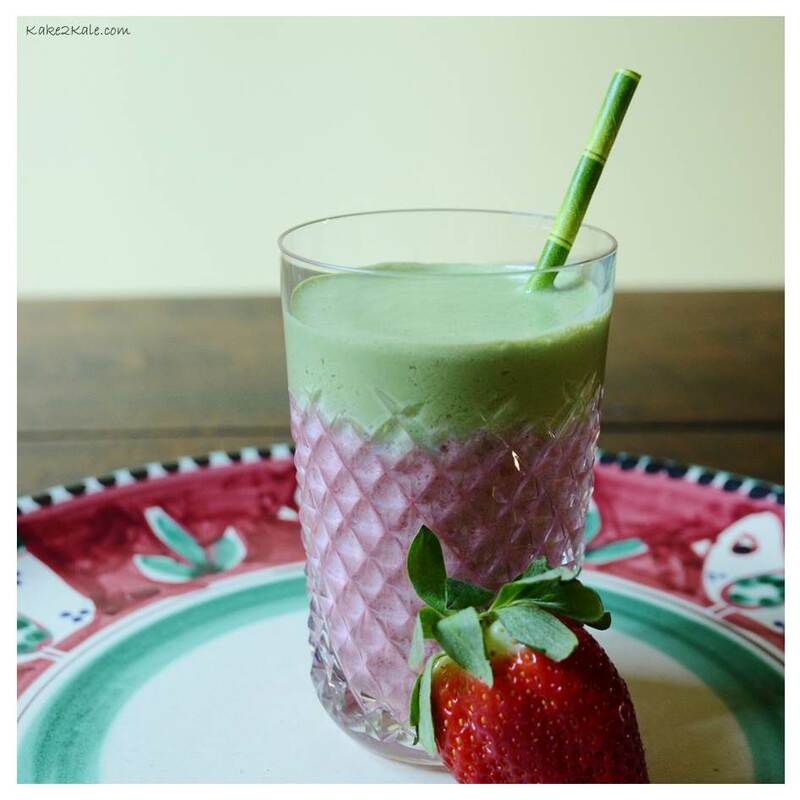 Making a Blossom Berry Smoothie is my way of rejoicing and recapturing the joy of springtime! Strawberry – Contains vitamins C, A and potassium. Has antiviral and free radical neautralizing properties. Oats – Oats is a good source of fibre, and oat bran helps to lower cholesterol. Chia – It is packed with fibre, so it stabilizes blood sugar and helps you to feel full, thus cutting any cravings. It is also high in Omega 3 fatty acids, protein and a wide range of vitamins and minerals ie. calcium and iron. Matcha – This is a powdered green tea from Japan, it is high in antioxidants that fight against UV radiation that may cause cancer. It also contains the calm inducing (without drowsiness) amino-acid L-Theanine. This amino acid also helps promote mental clarity, improve concentration. Another benefit of Matcha is that it increases metabolism. Cashews – These nuts contain monounsaturated-fatty acids which may help lower the bad LDL-cholesterol while increasing good HDL cholesterol. They are also a good source of B vitamins and with minerals such as copper, iron, magnesium, zinc and selenium. 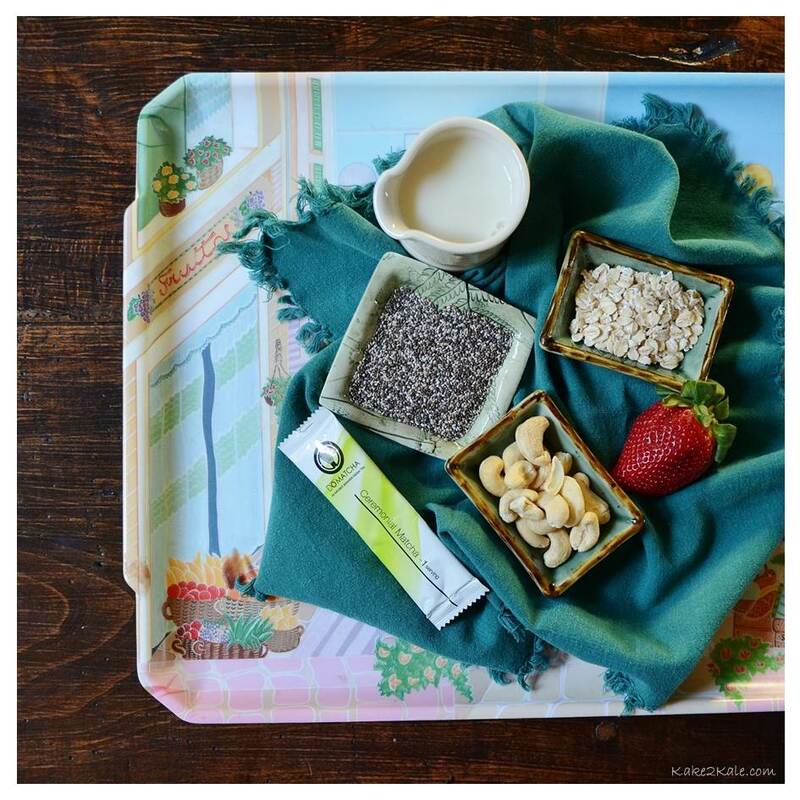 To get the two toned effect, blend first: strawberries, oats, chia seeds, honey and coconut water. Then blend the rest of the ingredients and carefully spoon the green mixture on top of the strawberry part of the smoothie. hi, i did a lot of research on google but i did not find the answer… what are the units that you are using (T and c) does T mean tablespoon?? c is coffee spon??? probably not ..
Hello Sebastien, T means Tablespoon, and t means teaspoon. To be exact you can get measuring spoons, but if you don’t have them, then a soup spoon is close to a Tablespoon and a coffee spoon is close to a teaspoon. Hope this helps!